The Uruguayan government sets the date for legal marijuana sales in pharmacies to begin, West Virginia is just a governor's signature away from becoming the 29th medical marijuana state, Idaho's Republican governor vetoes a broadly-supported asset forfeiture reform bill, and more. Montana Bill to Study Marijuana Legalization Filed . State Rep. Mary Dunwell (D-Helena) filed House Joint Resolution 35  on Thursday. The bill calls for "a study of the legalization and control of marijuana," with results to be reported to the next session of the legislature. The study would include input from the Departments of Public Health and Human Services, Justice, Revenue, and Agriculture, as well as local law enforcement, courts, schools, and lobbying groups. Arizona Appeals Court Strikes Down Criminal Ban on Possession of Medical Marijuana on College Campuses . The state Court of Appeals ruled on Thursday that even though colleges and universities can bar the possession of medical marijuana through administrative means, the state cannot make on-campus possession a criminal offense. The state's medical marijuana law barred its possession in prisons, schools, and on school buses, but the legislature in 2012 added college campuses to the list. Now, the appellate court has ruled the state couldn't do that. The case is Arizona v. Maestes . Ohio Medical Marijuana Grower Applications Will Be Accepted Starting in June . The state Department of Commerce will begin accepting applications for 24 medical marijuana grow licenses beginning in June, the department announced on Friday. Once licenses are awarded, holders will have nine months to meet all requirements. Application forms and instructions should be released in the next two to three weeks, the department said. West Virginia Medical Marijuana Bill Heads to Governor's Desk . The Mountaineer State is poised to become the 29th medical marijuana state after the legislature gave final approval to Senate Bill 386  Thursday, sending the measure to the desk of Gov. Jim Justice (D). The bill would set up a dispensary system, but does not authorize patients to smoke marijuana or grow their own. Kentucky Bill to Raise Heroin, Fentanyl Penalties Awaits Governor's Signature . The General Assembly last week approved House Bill 333 , which would increase penalties for the sale of heroin, fentanyl, or carfentanil. Under current laws, adopted as sentencing reform measures in 2011, traffickers face one to five years in prison. Under this bill, they would face five to 10 years in prison. The bill is currently on the desk of Gov. Matt Bevin (R). Idaho Governor Vetoes Asset Forfeiture Reform . Gov. Butch Otter (R) on Thursday vetoed House Bill 202 , a civil asset forfeiture reform bill that passed the legislature with broad bipartisan support. The bill would have ended asset forfeiture absent a criminal conviction, as well as imposing reporting and other requirements on law enforcement. The governor insisted there is no problem to fix, although lawmakers clearly disagreed. Beto O'Rourke Leads Bipartisan Bill that Repeals Federal Transportation Law Requiring States to Suspend Driver's Licenses for Drug Offenses . US Rep. Beto O'Rourke (D-TX) and five bipartisan cosponsors have filed House Resolution 1952 , which would repeal a 26-year-old federal law that mandates states to automatically suspend driver's licenses for anyone convicted of a drug offense or risk losing federal highway aid money. Some 38 states have already opted out of that program, but 12 states -- including Texas, New York, Michigan, and Florida -- still comply with the requirement. Rand Paul, Elijah Cummings File Bills to Seal Criminal Records for Federal Nonviolent Offenses . US Sen. Rand Paul (R-KY) and US Rep. Elijah Cummings (D-MD) have filed identical bills in the Senate and House to seal the federal criminal records of non-violent offenders, which includes tens of thousands of federal drug offenders. The measures are Senate Bill 827  and House Resolution 190 , respectively. Uruguay to Allow Marijuana Sales at Pharmacies Beginning in July . The office of President Tabare Vasquez said Thursday that legal marijuana sales through pharmacies will begin in July. 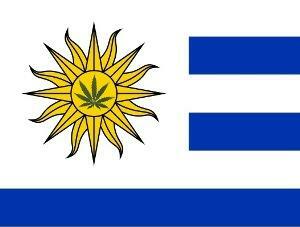 That's the last step in implementing a 2013 law that made Uruguay the first country to legalize marijuana. While other parts of the law have been in place, pharmacy sales had been on hold under Vasquez, who isn't nearly as enthusiastic about legalization as was his predecessor, Jose "Pepe" Mujica, who shepherded the law to passage during his term. A gram of weed will go for $1.30. Four Out of Five French Presidential Candidates Support Marijuana Reform . The leading candidate, centrist Emmanuel Macron, and the rightist candidate, Francois Fillon, both support decriminalizing marijuana possession, leftist candidates Jean-Luc Melenchon and Benoit Hamon have both called for marijuana legalization, while only far-right candidate Marine LePen favors the status quo, which calls for up to a year in jail for the possession of any drug.